We are a leading Manufacturer of c frame press machine and power press machine from Rajkot, India. 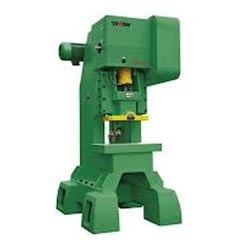 The offered C Frame Press Machine finds its application in various slide, surface, and screw cutting operations. These products are known for their sturdiness and durability. Manufactured using high quality raw materials and advanced machinery, these products, post production, are sent for a number of quality checks. This product has a 'C' shaped frame and the base is made of strong cast iron. The oil lubrication system and the circuit alarm system make operations smoother. 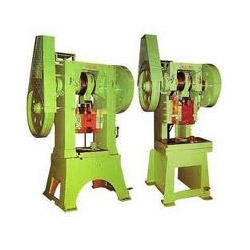 We are engaged in the manufacture, supply, and export of Power Press Machine. Using latest technology and premium quality raw materials, we have fabricated machines of extraordinary quality. These cost effective and power efficient machines perform their functions effectively. Both standard as well as customized options are made available to the customers. By testing them on several parameters, we ensure that these machines are in compliance with the highest industry standards.